Apple has always been the gold standard in the products they make. And no other smartphone company could stand in equal to Apple in terms of its performance and functionality that they imbibe to the devices they make, whether it’s the iPhone or the iPad or any other computing devices. But the downside with the Apple devices is the lack of data transfer capabilities. For an Android user, we are quite used to many alternatives to transfer our content which becomes the downside for the Apple users. 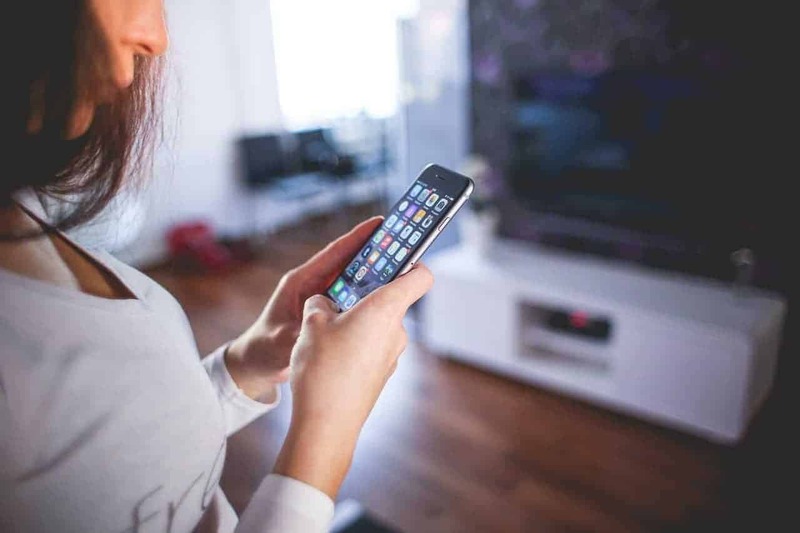 It’s mandatory to have third-party applications to move the data from an iOS device to another iOS device, or to a PC or to an Android phone. So we found a method on how to transfer everything from one iPhone to another. 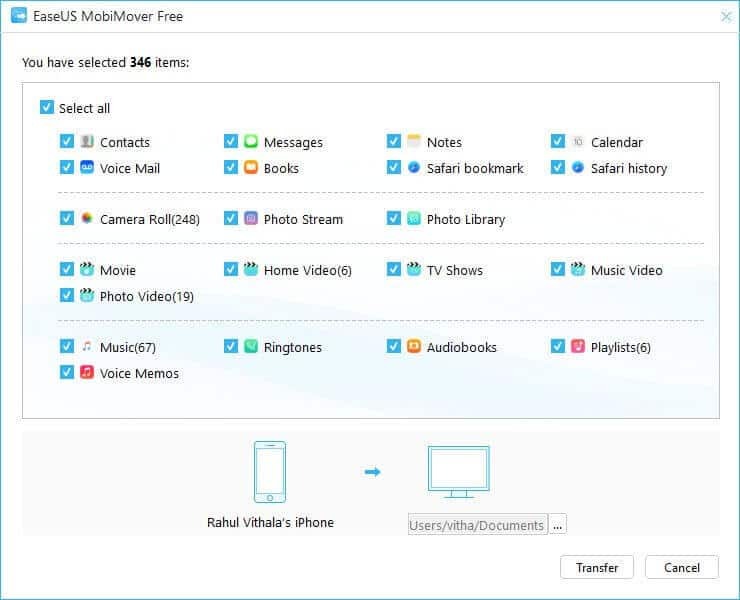 Now it has become easy to transfer any data from an iOS device to another device, or to a PC and thanks to EaseUS MobiMover. It’s a hassle-free and complete data management tool for all the Apple devices. So let us have a look regarding the features, user-guidance, and details of the EaseUS MobiMover. One-click Transfer from PC to iOS Device – With a single click export files to your iOS device from your PC. 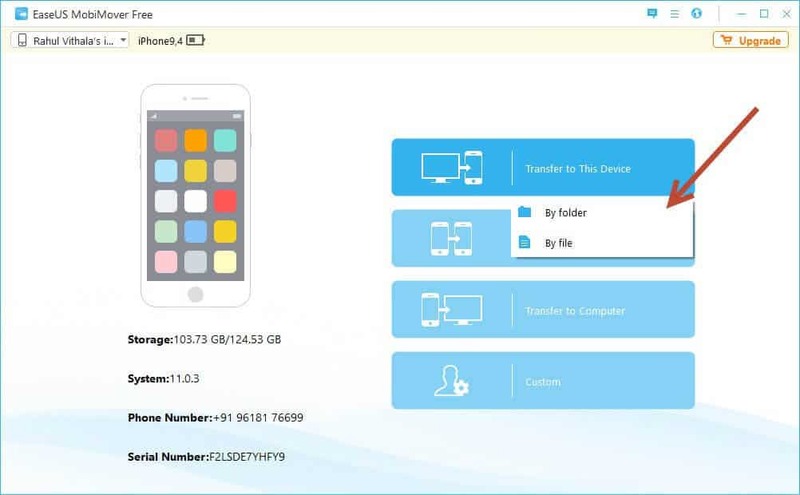 Easy File Transfer from Device to PC – Easily transfer files from your iPhone/iPad to PC without any chance of data loss. Such tasks can be completed within a few seconds. One-click Transfer from One Device to Another – It works as a Bluetooth alternative for iPhone users, allowing you to sync data from one iDevice (iPhone to iPad/iPhone 8, 8 Plus/X) to another. The export works swiftly in a single click. The tool also scans files on both devices while transferring data reducing any possible delays. 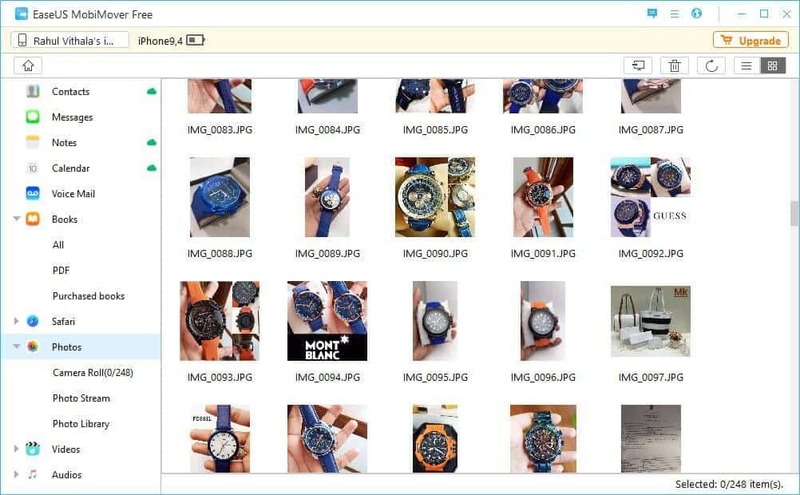 Easy File Management – MobiMover comes with a file management solution which allows you to manage files on your iPhone or tablet efficiently. Move data from one place to another in different formats. Content is organized in specific categories enabling users to find files easily. Whether you want to edit, add or delete contacts, manage playlists or Safari bookmarks, or add and delete photos from your library, it does everything! Step-2: Transfer to this device defines, you can transfer data from PC to your iOS device. 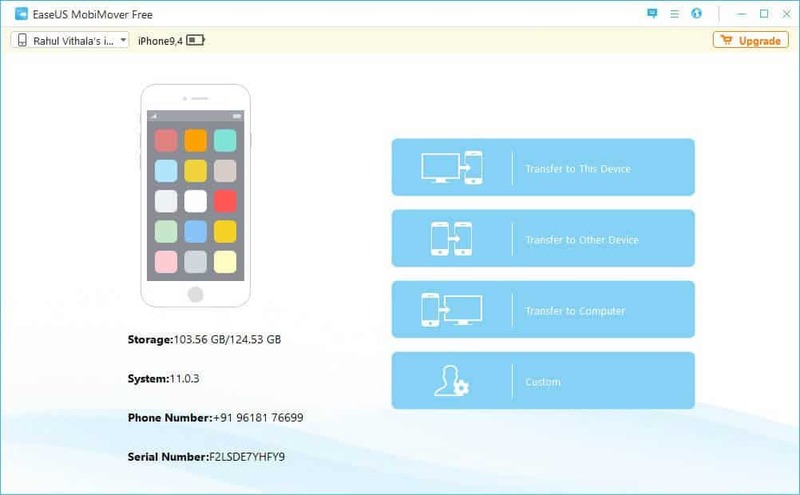 Connect your iPhone and once it is connected, it gets autodetected by EaseUS MobiMover and click on the Transfer to this device option and click by folder. Step-3: Once you click on the folder, you can click several folders and it is distinguished as per the application that is installed on your Apple device. Choose the folder or the files you want to send to the device. Once the files are selected, all you have to do is to click transfer.The process generally takes a few seconds to a few minutes depending on the size of the file. Step-4: If you want to transfer only the specific file, then choose ‘By file’ option and below here I am trying to transfer only the pics I have clicked using my iPhone 7Plus. Choose the pics and then click transfer. Step-5: The other part of the EaseUS MobiMover is the speed. Unlike Bluetooth or WiFi, you don’t have to rely on slower communication methods so data transfers are much faster. EaseUS also makes sure that the software stays up to date making it more secure and compatible with the latest Apple devices and OS updates. The EaseUS MobiMover is now available for free and can be downloaded here. The Pro version starts at $39.95 and can be downloaded at the EaseUS website. Previous article3 Examples to Prove User Centered Mobile Engagement Actually Works! Next articlePAKT One – A Minimalist Travel Bag That Got Featured By Netflix For Its Own Reasons!